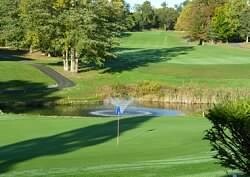 Welcome to the official website of the Fairfield Seniors Golf Association, (“FSGA” as most people know us). The FSGA was formed for the purpose of providing a relaxed, but structured, venue for seniors to enjoy playing golf with their contemporaries. The FSGA is open to all persons age 60 or older. Residency in Fairfield is not a requirement for membership in the FSGA, as many of our members live in surrounding communities. The FSGA has spirited competition between its’ members on Wednesday mornings from early April through late October at H. Smith Richardson Golf Course, located in Fairfield, CT. Earn pro shop credit for accomplishments in tournaments!